MET-Rx BCAAs 2200 contain Branched Chain Amino Acids (BCAAs), which are essential amino acids that must be consumed from the diet as they can't be produced by the body. BCAAs are important for anyone who has an active lifestyle as they make up a large percentage of the amino acids found in muscle composition. You must be 18 years or older to purchase this product. Take four tablets daily, either in the morning, evening or between meals on an empty stomach with a full glass of water. Use in conjunction with your workouts. Do not exceed stated dose. Bulking Agents (Dicalcium Phosphate, Microcrystalline Cellulose), L-Arginine Alpha Ketoglutarate, Glazing Agents (Hydroxypropyl Methylcellulose, Glycerine, Carnauba Wax), Anti- Caking Agents (Magnesium Stearate, Silicon Dioxide). 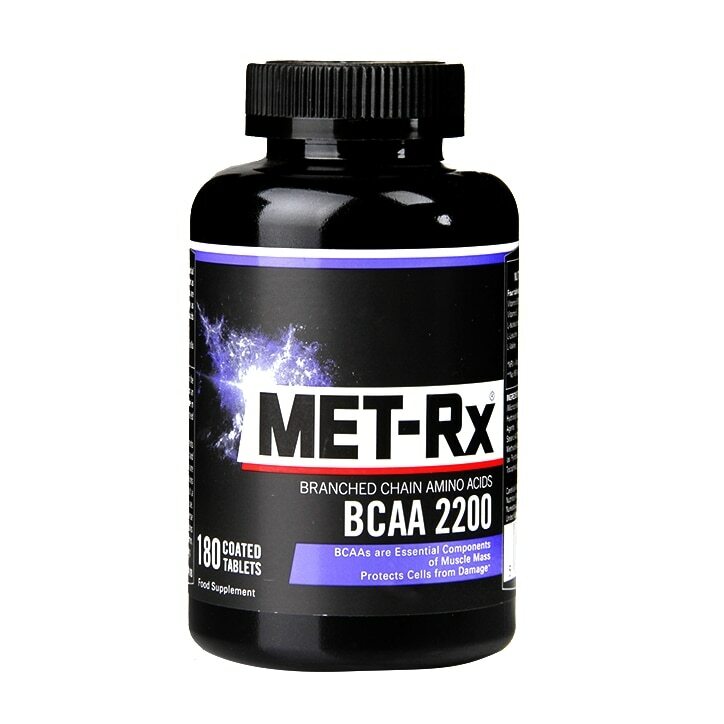 MET-Rx BCAA 2200 is rated 4.5 out of 5 by 2.